The British colonies which were built in America in the 17th and 18th centuries adapted to a distinctly English style of dressing, architecture and furnishings. 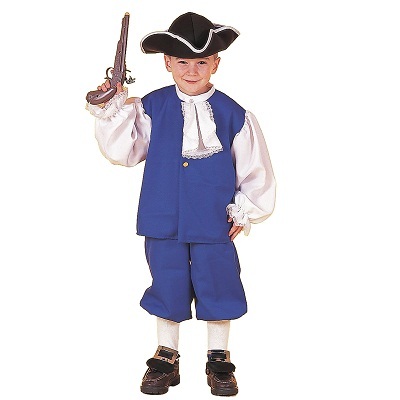 It was a total of thirteen of these colonies which later became the United States of America. 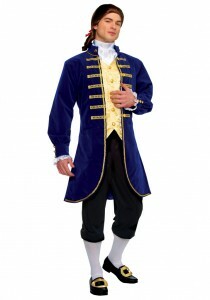 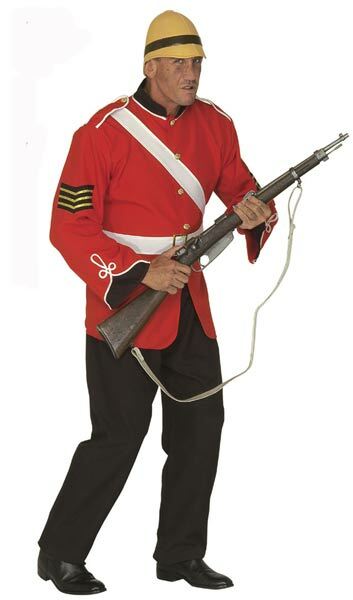 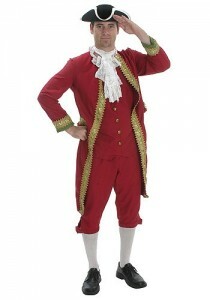 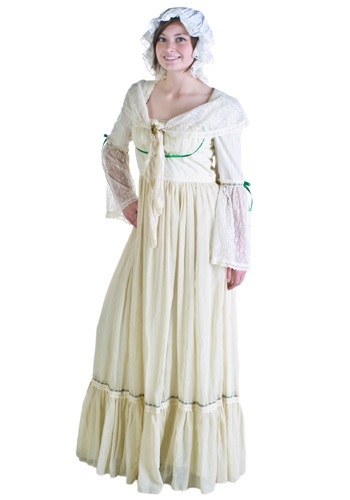 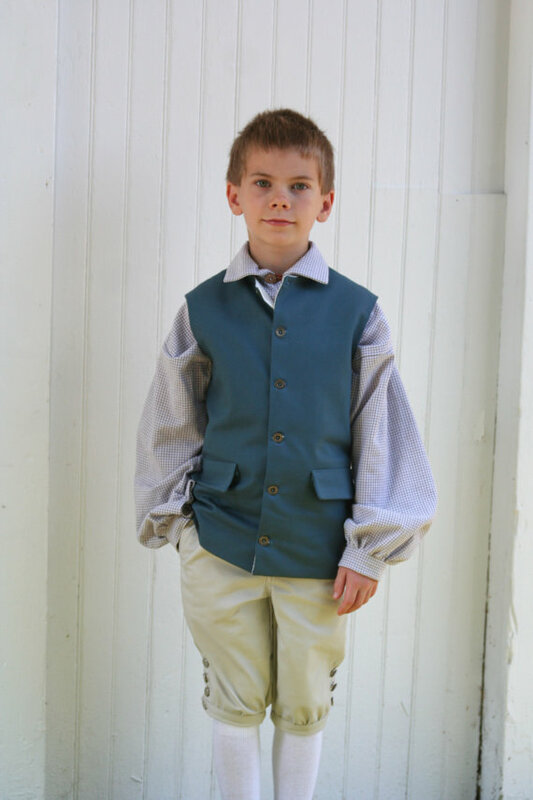 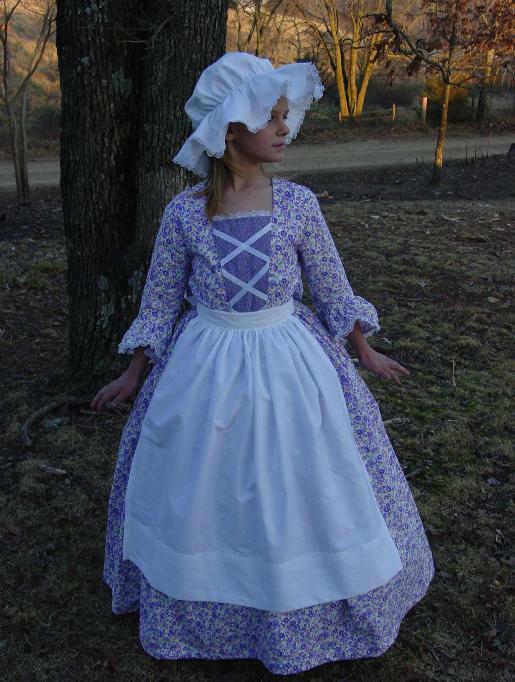 Travel back in time with these sophisticated Colonial costumes. 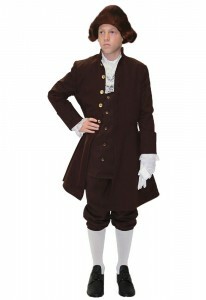 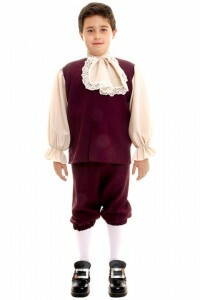 The dark brown colored tops for men come attached with gauzy cream or white full sleeves and metallic embellishments. 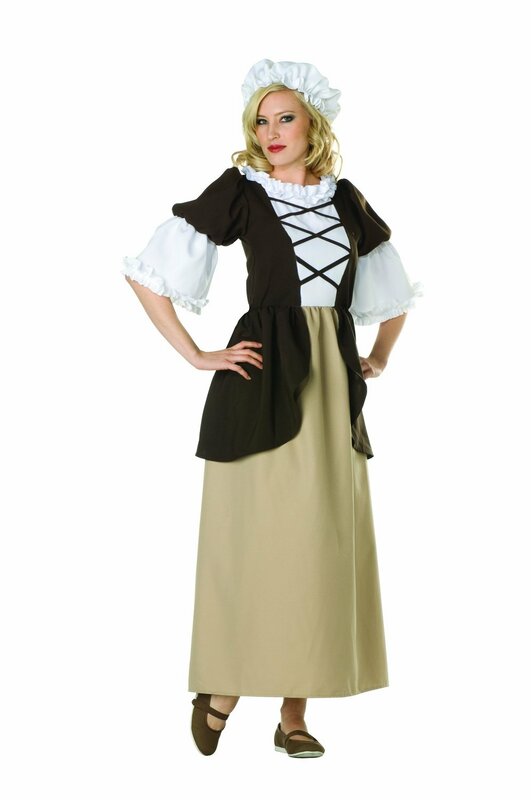 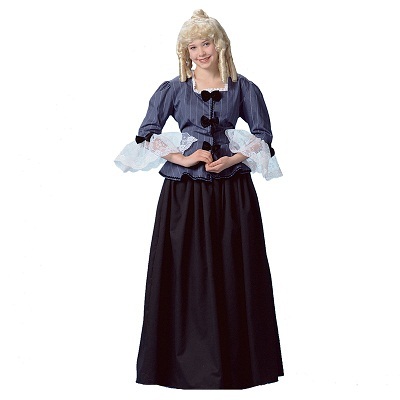 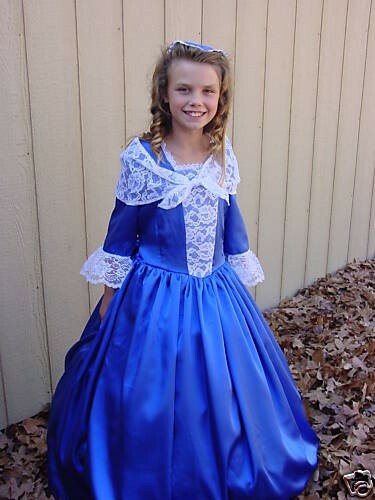 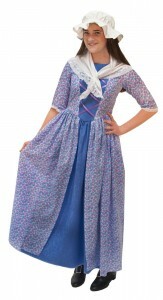 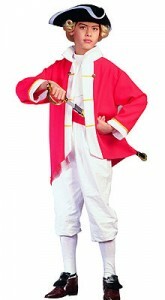 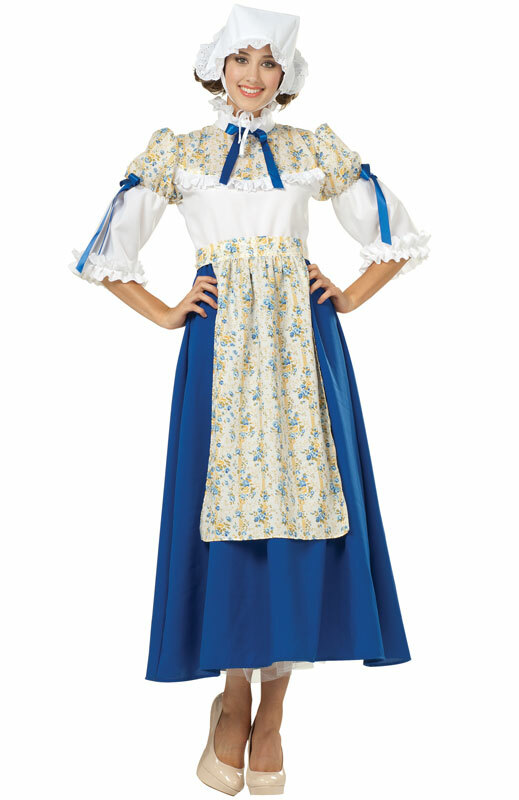 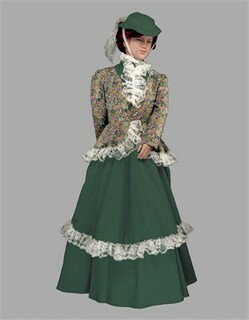 Long dresses with criss-crossing straps in the bodice, aprons, lace-trimmed collars and white ruffle trims on three-quarter sleeves are the highlights of the female costumes. 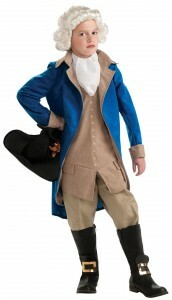 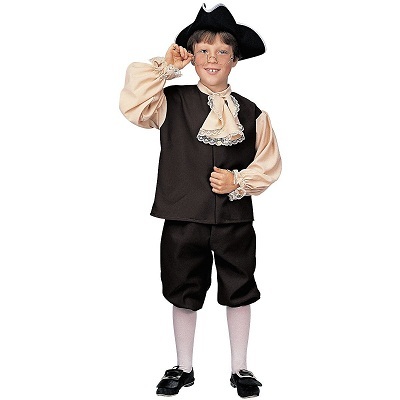 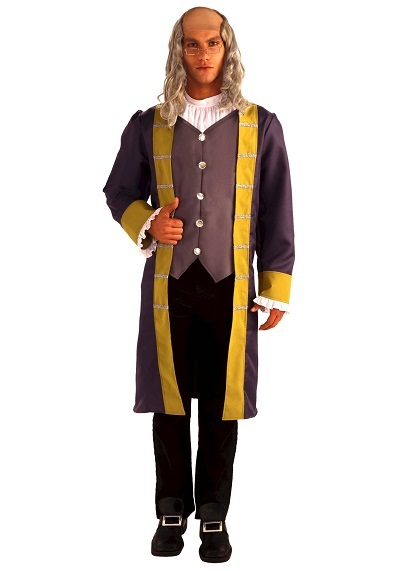 Let your kids get an essence of the founding fathers of America with these charming kids costumes with faux wigs and wire-rimmed glasses.